The economy adhesive is a solvent based acylic adhesive with a strong adhesion to a variety of surfaces and is good for most applications. This product has a white paper liner and is available by the roll or cut to your requirements (if cutting is required please contact us for a quote). This width of tape marries magnetically, face to face. Call us for samples if you need to test the two adhesives side by side for your application. If your job works with economy adhesive you'll save a fortune! 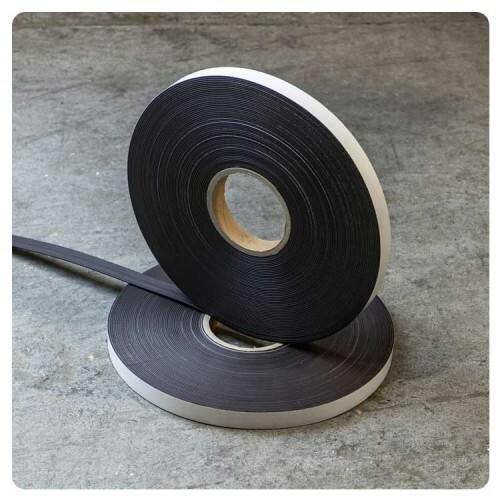 19mm high energy magnetic tape with a premium grade acrylic adhesive. 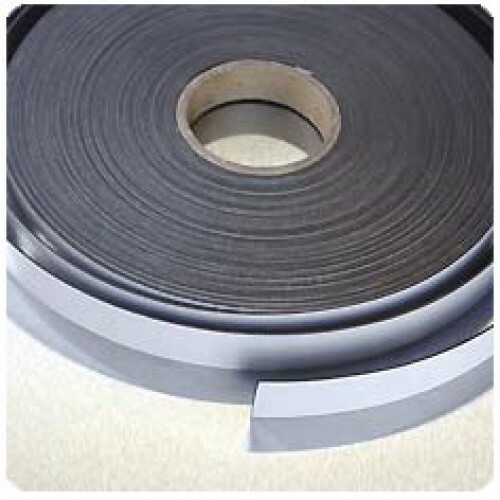 19mm wide x 1.5mm thick x 8..